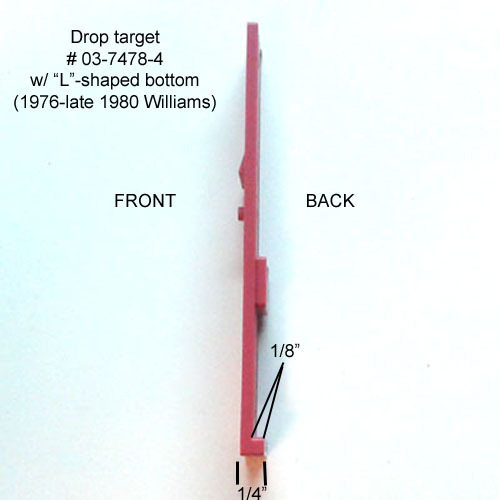 Light red plastic drop target used on many older Williams games approx. 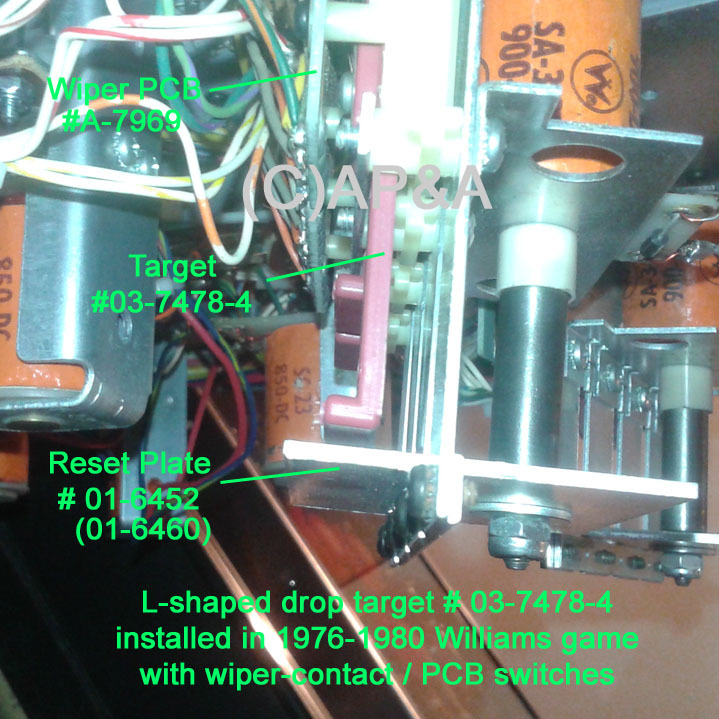 1976-1980 which used wiper contacts and PC board for a drop target switch (see notes below). This target has an L-shaped bottom end (see additional image below). New aftermarket reproduction part. Also replaces Williams # 03-7478-4-5-1. 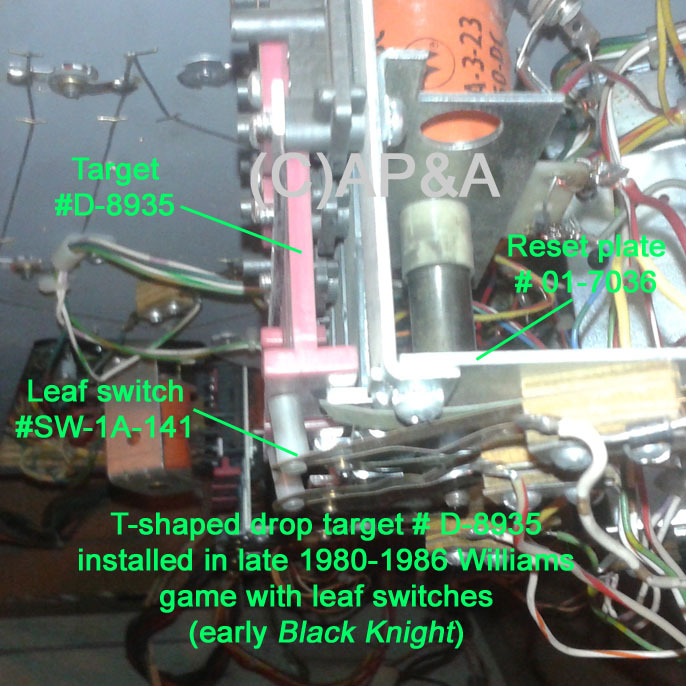 NOTE 1: Early original 03-7478-4 drop targets from Williams came with a white star printed on the blank target. Williams did away with the white star when decals were introduced on drop targets at the end of 1978 with the introduction of Phoenix. The white star drop target was used on Big Deal (1977), Contact, Disco Fever, Hot Tip, Lucky Seven, and a few other earlier electro-mechanical pinball games. 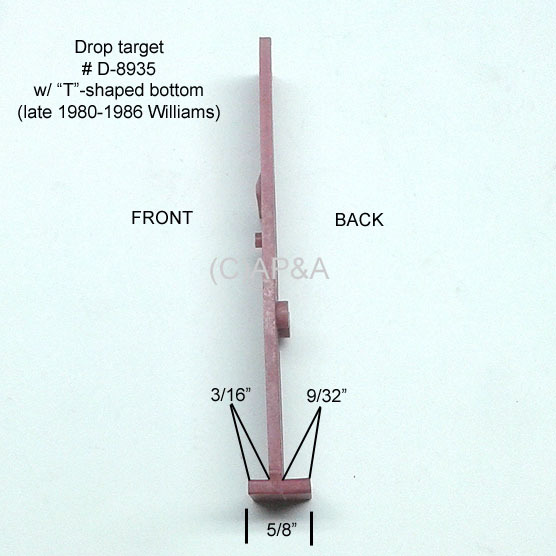 NOTE 2: Williams games from late 1980-1986 used a different version of this target (# D-8935) with a T-shaped base. This earlier target (# 03-7478-4) WILL NOT WORK in place of the later T-shaped targets. Please compare the image and measurements of this part (images above and below) to what you have on your game to determine if this part is correct for your game. 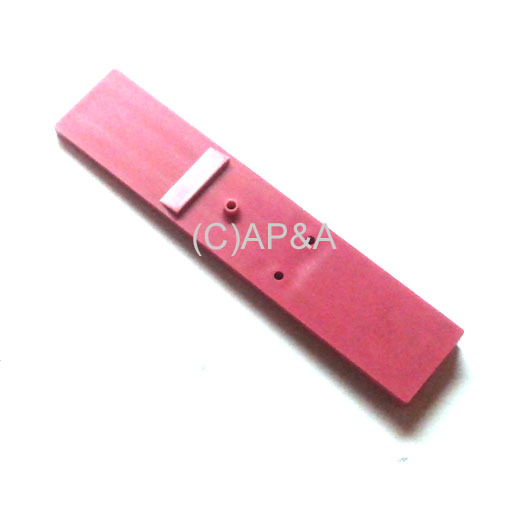 If not, this part will not work in your game, and you will need part # D-8935 instead.